I sure am glad GOP Speaker of the House, Paul Ryan’s slinking off to the hills of Wisconsin at the end of his term. I just wish it were sooner. In the meantime … here’s a bit of advice, Paul. But for Ryan and the rest of the GOP, it’s the lyrics that contain the message … not the name. Unless you really know what you’re doin’, you don’t screw with Jesuits … and you sure don’t mess with God. But that’s apparently what happened when Saint Paul sent his emissary over to “fire” the House Chaplain. Way to go Paul … I guess you were auditioning for a spot on “45’s” sayonara episode of “White House Reality” by saying “You’re Fired” anyway but in-person. Technically, Gutless Paul didn’t actually fire the Chaplain … he just asked him to resign based on some cockamamie accusations by the Evangelical Right Wing Tribalists in the House. 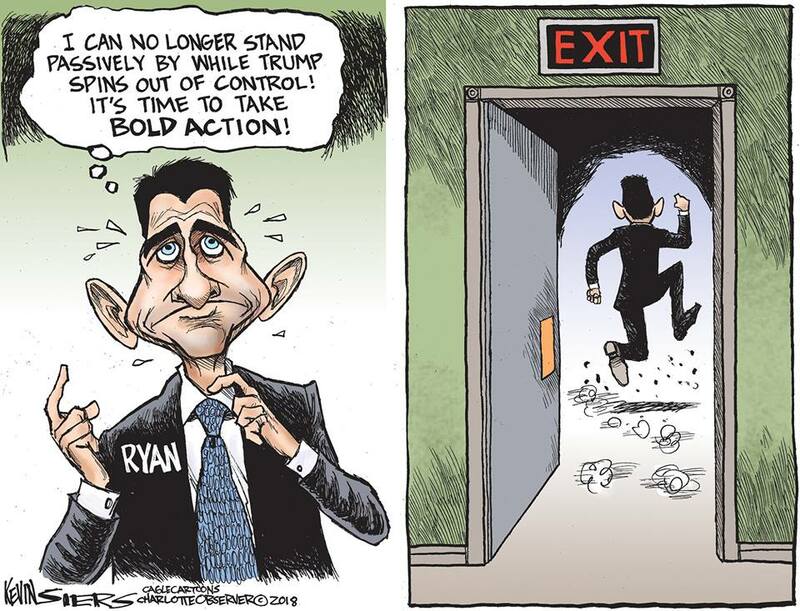 The move by Ryan … just months before the end of the Chaplain’s term … created open warfare between the Catholics and the Evangelical Protestants in the House. We’re lucky that Martin Luther didn’t commit a “Walking Dead” cameo and hammer his “95 Theses” on the House Chamber doors! You might recall that some folks think that was the beginning of the Protestant Reformation. But … instead of retiring quietly into the night, the Reverend-Father-High-Holiness Conroy sought advice … which led him to quickly withdraw his letter of forced resignation. As if we didn’t have enough problems to deal with! Saint Paul, who earlier tripped over his own “you-know-what,” quickly surrendered and withdrew his request … which may have averted a Holy War! Who among us even knew the House had a Chaplain? Who among us knew his only stated duty was to open each session of the House with a prayer? BTW – that’s only 135 days a year! Who among us knew his office staff and operating expense costs us almost $800,000 a year … of which $172,500 is his salary? Who among us knew the cost to the US taxpayer is almost $1700 per prayer? Sometimes, Little Richard, I worry about you. To paraphrase Thomas More, it profits a man nothing to give his soul for the whole world…but for $172,500?